Oxaliplatin is a chemotherapeutic agent that induces neuropathy through unknown mechanisms and therefore, its pharmacological performance is limited. Silymarin, a well-known hepatoprotective natural flavonoid mixture, has neuroprotective effects against certain neurodegenerative or neurotoxic stimuli. We tested whether silymarin protects against oxaliplatin-induced neurotoxicity by using a neuronal cell culture system. 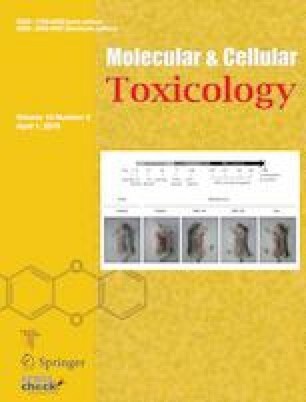 Using differentiated SH-SY5Y cells, effects of silymarin on the oxaliplatin-mediated cytotoxicity for cell viability, oxidative stress and BDNF expression. Treatment of neuronal cells with oxaliplatin decreased cell viability, which was accompanied by increase in levels of the apoptotic marker cleaved poly-(ADP-ribose) polymerase (PARP) and malondialdehyde (MDA), a marker of lipid peroxidation. We found that oxaliplatin-induced cell death was partially mediated by p38-MAPK activation, which was significantly inhibited by silymarin. Silymarin slightly but not significantly inhibited oxaliplatin-induced oxidative stress. It also upregulated brain-derived neurotrophic factor (BDNF) expression and increased calcium-calmodulin kinase II and CREB activities. The observation of cell morphology revealed that silymarin induced dendritic outgrowth, which was validated by the increased expression of β-III tubulin protein. Furthermore, we observed that oxaliplatin-induced loss of dendritic outgrowth and BDNF downregulation were partially blocked by silymarin. Our results suggested that oxaliplatin-induced neuropathy may be caused by combined mechanisms of increased oxidative stress, p38 MAPK-mediated apoptosis, and reduction of BDNF expression. All these changes were significantly inhibited by silymarin.